The finance and accounting recruitment firm that will make your search count. The most successful firms are strengthened by top performing finance and accounting professionals who, as experts in their field, are accurate, innovative, resourceful, and have an eye for the fine details. Aureus Finance & Accounting® approaches our work as a trusted staffing and recruitment partner the very same way. 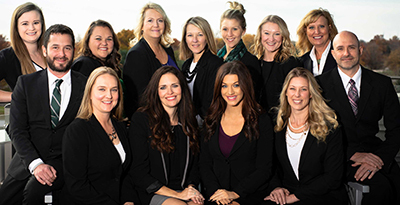 With a dedicated team invested solely in finance and accounting recruitment, we leverage our resources and our network to surface opportunities for talented professionals that align with their skill sets, career aspirations, and goals, and present the right culture fit. And we partner with leading firms to isolate the candidates who bring the experience and attributes that will support their strategic vision. Aureus Finance & Accounting works hand in hand with the firms and candidates we represent to define parameters and competencies that are essential to an enduring professional match, whether an opportunity is for a specified period of time or for the long term. It’s the personal relationships we forge, combined with tailored search strategies, that garner successful outcomes time and time again. Make your search count with Aureus Finance & Accounting.